Iris Francis had art in her blood. Her grandfather and father (who died when Iris was a week old) sketched and carved, and her aunt, Pansy Francis, was an accomplished woodcarver. Iris's own work won her acclaim as one of WA's leading modernist artists in the 1930s and 1940s. Her work was rediscovered in 1986 thanks to an exhibition at the University of Western Australia, Aspects of Perth Modernism 1929-1942. Helen Shervington, who met Iris in the '80s while doing her Honours degree on WA women artists of the '30s and '40s, recalled: "Iris was a real live-wire and absolutely delightful. "She told me she used watercolour a lot because oils were so expensive. "Her work was adventurous. She did a wonderful painting Self-Portrait in the cubist style and it included an artist's palette, a cello, golf bag, mix master and pressure cooker - all the things that were important to her!" After leaving MLC Iris studied at Perth Technical College, earning a diploma in commercial art, and worked for Gibbney and Sons design studio. In 1935 she took up a teaching post at Perth Technical College where she taught for 12 years until she married Raymond Wilkinson. Iris's first exhibition was at the Newspaper House Gallery in Perth in 1934. She was a member of a group of young women artists who held many exhibitions throughout the 1930s. "These were largely the product of weekend sketching parties by the river, in the hills or their favourite, Fremantle," Ms Shervington said. An accomplished cellist, during the war Iris was kept busy playing in orchestras to entertain the troops and translating aerial photographs of WA's northwest into topographical maps for the army. Her work was included in the 1951 WA Jubilee Exhibition of Paintings which toured the country. 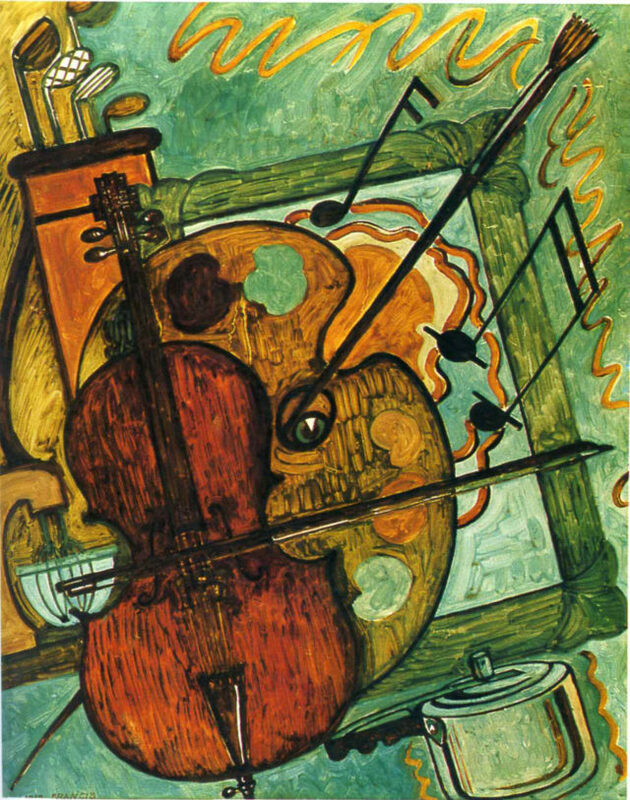 Her painting, The Cellist, was exhibited in the Perth Prize for Contemporary Art in 1956. A retrospective of her work was held at Central TAFE in 2003, the year before she died.